After finding Just Collect online, a sports card collector from upstate New York contacted them for an appraisal and offer on their childhood collection. After spending five hours in Just Collect's office discussing possibilities, it was the condition of the collection and certain cards in particular that struck Leighton Sheldon, owner of Just Collect. 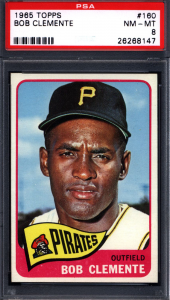 "We knew the Luis Tiant rookie card was one of the finest we had seen," said Leighton. 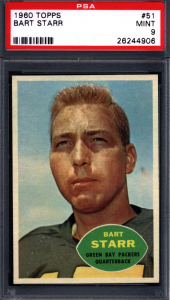 "The Bart Star and the collector's other 65 Topps cards also looked to be in mint condition. We knew this would be a good collection to purchase and send in for grading. 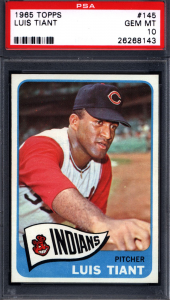 We were happy when the Luis Tiant came back Gem Mint 10, with many others getting solid NM-MT 8, and Mint 9, respectively." If you have a childhood collection that you have been hanging on to and would like to know the value, then a free appraisal by Just Collect may be in order. Pay attention to the condition of your collection as mint cards can sell for exponentially higher amounts than cards in poor or average condition. It takes a trained eye to know the difference which is why it is important to seek an expert's advice so you get the most for your treasured items. Ira started collecting sports and non-sports cards in the late 80s-early 90's and has always had a passion for the value and market of the industry. Having bought and sold since childhood, getting back into the hobby in today's fast paced and volatile online market was a perfect fit. With a business background in finance Ira brings a unique combination of experience to the hobby and The Cardboard Connection team, playing a leading role in the review and development of the many important products, features, and partnerships covered on our site.